Twilight Limousines Limo Hire Adelaide are well known throughout South Australia for their spectacular 300C 10 Seater Stretch Limousine. The feedback Twilight Limousines receives from clients reflects the passion and commitment we have for ensuring the success of your special day / occasion and the satisfaction we get to see our clients enjoy themselves. 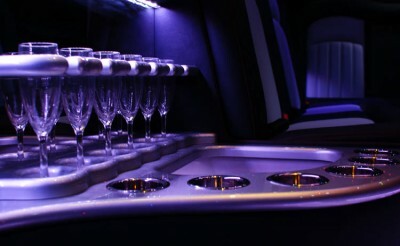 To be successful in our industry we have to provide more than just a spectacular stretch limo. Our drivers love people. They are specially chosen not just for their driving experience and local knowledge but for their willingness to go that extra mile to ensure the total satisfaction of their passengers. Hiring a limousine usually signifies a special day / night in the lives of our clients. Being chauffeur driven in the back of a luxurious Stretch 300C Limo is not something one does every day so it’s our job to make sure that your limo ride is as special as it can possibly be. The Services we provide have been designed around the most popular choices for Limo Hire in Adelaide but we are more than happy to create a Limo Hire package based on your specific requirements. Be it a surprise party, a grand entrance to your new in-laws house, a prop for a modelling portfolio, a scenic tour for a world famous celebrity or a ride home from the hospital for mum and the new baby. We have done it all and if we haven’t then we look forward to doing it……. as long as it’s legal. For more information, prices & quotes contact us on (08) 8284 4649 or (0432) 967 913.